As we’ve spent the last weeks in Matthew 16 we’ve seen how this chapter is the major turning point in Jesus’ ministry. From this point on everything moves toward Jerusalem and the cross to which Christ was determined to go. 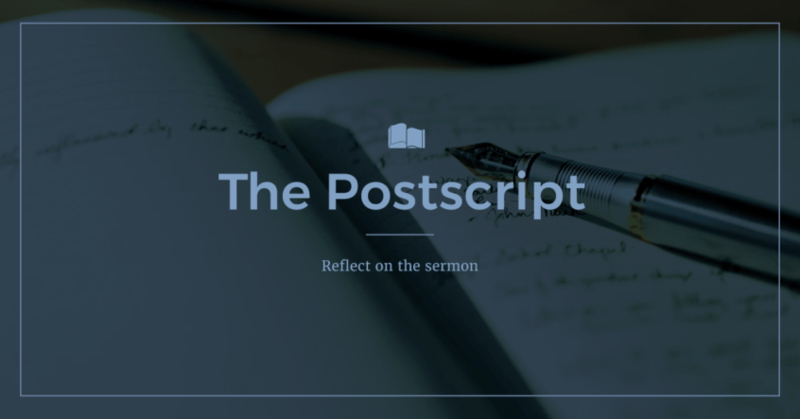 After Peter made a bold confession of Jesus’ identity as the Messiah, he quickly turned and showed that his idea of what the Messiah would do was incomplete. He was looking only for the conquering king not the suffering servant prophesied so many times in the Old Testament. This leads to Jesus teaching the disciples in vivid language of the cost of discipleship: it requires giving your life. There are a number of common misconceptions about this passage it’s important to clear up first. One is that Jesus was only speaking to his disciples in these verses. This leads to the conclusion that the kind of radical devotion described here is not for every christian, but only those who want to take their faith to “the next level.” This would mean there are believers who have not committed their lives to living for the Lord. But here Jesus says that if anyone wants to follow him they must take up their cross. This language of “taking up your cross” is frequently used in a confusing way today. It is often used to mean some kind of bearing up against everyday struggles. A sickness or trial might be called a “cross to bear.” Is this what Jesus meant though? He and his disciples lived at a time of cruel mass executions by the Roman empire. It is estimated that during Jesus’ lifetime some 30,000 people were hung on crosses. That is to say, everyone had seen a crucifixion and knew the grisly reality of it. To “bear your cross” is to give your life, not endure the kind of daily struggles we all face. All christians are disciples of Christ and must deny themselves for His sake. After the unexpected (to the disciples) determination of Jesus to go to the cross, he gives an unexpected requirement for disciples. The call to discipleship is a call to self-denial, self-sacrifice, and self-abandonment. This is not easy-believe, come-to-church-on-Sunday Christianity. In Luke 14 we see an example of Jesus’ “alter call.” It’s not God has a wonderful plan for your life, or come to Jesus to receive earthy blessings. Rather, it is “if anyone comes to Me, and does not hate his own father and mother and wife and children and brothers and sisters, yes, and even his own life, he cannot be My disciple.” This is obviously not a command to hate our families but a reminder that discipleship could cost us everything and that Christ must take priority even over our closest relationships. In light of this passage we must consider whether we are avoiding the cross because we fear the pain it will cause us. Or whether we are more focused on satisfying our fleshly desires than a life of denying self that Jesus commands. To avoid the cross is to declare war on our own souls.